Almost two weeks ago, an amazing show aired its final episode. That show was NBC's Parks and Recreation. After seven seasons of smart, clever hilarity, of stellar characters and story lines, of an outstanding group of writers and actors, the curtain sadly closed for good. As an avid fan of the Parks Gang, I have been in a state of depression ever since. For those of you who have ever had "a show,' this one or otherwise, that has ended, you know what I'm feeling. I am not ashamed to admit that post-series finale, I have been going through the five stages of grief: first is denial and/or isolation (I refused to accept the show was over, then preceded to watch the entire series all over again. Side note, I finished the whole series in the eleven days since Parks has been off the air); second is anger (the fact that someone had the audacity to end one of the greatest shows of the 21st century still kind of enrages me); third is bargaining (me: "God/NBC heads, I will give you literally anything to bring this show back"); fourth is depression (to be honest I'm still in this stage and don't know if I'll ever be out of this stage, but I'll keep you posted); and finally, the fifth stage, which is acceptance (again, I'll keep you posted if I ever reach this stage). Kubler-Ross grief model aside, for those of us who are fans of Parks and Rec, it's been a pretty tough two weeks, and Tuesdays will never be the same. But, despite the sadness, it's time to appreciate the genius that was this show. However, that would mean appreciating everything and probably writing a million page article, which is not what anyone wants. Except for me, I'd totally do it in a heart beat. Semi-joking aside, I decided it was best to focus on only one genius thing from this show. This genius thing is the character of Leslie Knope. Amy Poehler easily created one of the greatest female characters on television today. Not only was Leslie a strong female lead, she was a hilarious and relatable one, too. This was a character that women actually could/do/can always look up to. And here are some reasons why. 1.) Leslie is super smart. This one is a complete no brainer. She's an educated, innovative woman who has both book and (sometimes) street smarts. She is also a fairly gifted people-person, one who knows how to bring out the best in those around her, as well as motivate coworkers/peers to work hard for their/her/a cause. Sometimes, it doesn't come off correctly and it may cause some discord, but she always finds a way to fix it. That takes some serious brain power. 2.) She's passionate about what she cares for. Parks, Ben, her department, Ann, Pawnee, her friends, scrapbooking, Ann again, hating Eagleton, waffles, paperwork, some more Ann, hating and hoping for the destruction of libraries, probably Parks and Ben one more time, and of course Ann. All of these things, and I'm sure more, are what Leslie is passionate about. And when she's passionate about something or someone, she doesn't stop working for the perfect end-goal or solution. I know I'm still trying to find what I'm passionate about, so to have so many things that hold her attention and drive her is something worth striving for. 3.) Leslie Knope=Queen of Comebacks. Sometimes awkward and/or aggressive, yet always hilarious, Leslie kills the comeback game. She can hit where it hurts, or at least give a solid attempt to. I mean, you can't ask for much else. 4.) She's all about gender equality and the empowerment of women. Leslie Knope is a strong believer and fighter for women's equality both in government and in general. She both idolizes and admires strong, powerful, smart women and tries to be that kind of woman herself so she can inspire the future generation (and sometimes herself). 5.) She's committed. When she believes in something or wants something, she'll fight for it, and she won't stop until things are achieved. Leslie Knope does not give up. Ever. 6.) Drunk Leslie is pretty much every drunk girl ever. This one kind of speaks for itself. 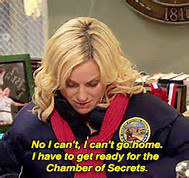 If you've ever been around a drunk girl, you know that Leslie embodies it perfectly. 7.) Her friendship and marriage are the definition of real relationship goals. 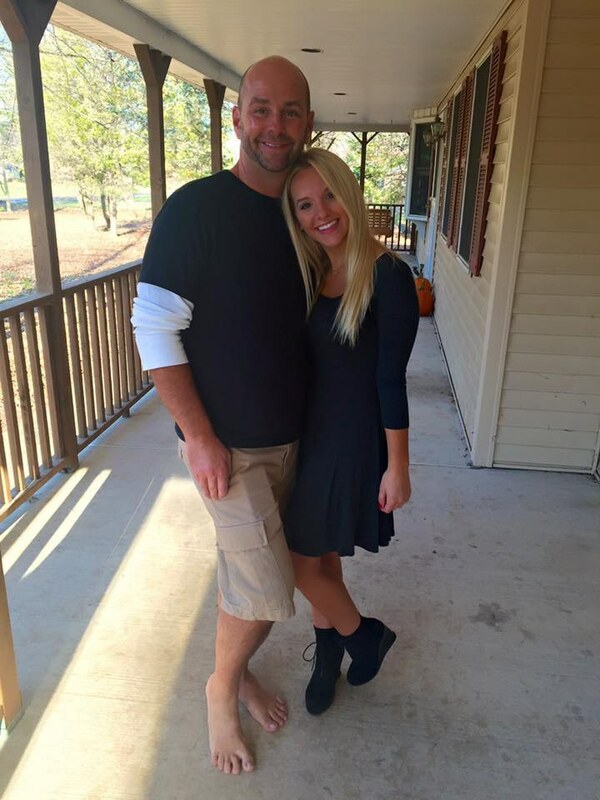 I mean seriously, she hit the relationship jackpot. Her friendship in Ann is what every girl looks for in having a best friend: they're two peas in a pod, but on things they do differ on, they find ways to work around it; they just love each other as they are. And her marriage with Ben? She found her perfect other half. He respects and loves her for who she is, he perfectly balances her out, and their goofy relationship is what every girl should actually aim for. 8.) Leslie Knope is the most creative complimenter ever. Anyone who is a Parks fan has always secretly wanted to be at the end of a Leslie Knope compliment. Seriously, these things are off the charts. Granted, most are directed towards Ann, but either way. They're amazing. 9.) The way Leslie handles boys/dating. Any girl knows the confusion, excitement, and overall emotional ups and downs of dating. Dating isn't perfect. Actually, half the time it makes us go crazy. Instead of a perfect Hollywood-like look at dating, Leslie handles it just like the rest of us. 10.) She's so optimistic. No matter how bad things are going, how much the cards are stacked against her, Leslie always keeps a positive look on things. Sometimes it's scary how positive she is, but in a good way. She'll either keep a happy, brave face or find a silver lining to any situation. 11.) Leslie isn't afraid to be herself. 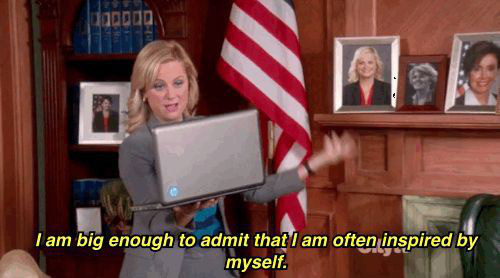 A lot of us struggle to become comfortable in our own skin, but Not Leslie Knope. No matter who or what is going on around her, she doesn't change herself. She holds true to who she is. That takes a lot of strength. 12.) Her love of breakfast food and hate of salads. I mean not much more can be said; she loves her waffles and hates salads. But that's a very real world thing. I don't care what anyone says, breakfast food is the best kind of food out there. What other type of food can be eaten at any time of day? Plus, it's just plain delicious no matter what you get. On the opposite end of the spectrum are salads. No matter how people try to spin it, they're just gross. No one says salad is their favorite food, and if they do they're big fat liars. End of story. 13.) Leslie Fangirls like the rest of us. We all have celebrity crushes, people we strive to be like, and things we just geek about. So does Leslie, granted, most of hers involve politicians, but she fangirls nonetheless. Not only is having a character that has such fangirl tendencies refreshing to see, so are her reactions to meeting them. She acts as any of us would meeting the people we obsess about. 14.) She's selfless. Leslie Knope rarely thinks of herself. She puts everyone before herself, and I mean everyone. Sure, she puts her loved ones ahead of her, but she also makes the wellbeing of strangers a top priority. She wants to do what's best for her town (and eventually many other towns) always. Even when they don't agree and they attack her, she still stands by them and does what she thinks is right. That is amazing. 15.) She is the kind of best friend and person you want in your life. All of these reasons (and more that I really have no time or space to fit) have culminated to this final reason. Leslie Knope is an amazing (fictional) human being. If you wanted one person in your corner, it would be her. She brings out the best in people, pushes them to realize their potential, all while supporting and loving them for who they are. What else could you ever want in a person? So there you have it, folks, proof Leslie Knope is one of the greatest female characters ever. Parks and Rec will be very missed, but I know we will all especially miss the amazing character that was Leslie Knope. Amy Poehler, we will forever be indebted to you for your genius. Now excuse me while I go cry and binge eat some waffles.